Paragliders will be allowed to sail off of Smelter Mountain again starting Sept. 1. Paragliders floating around the skies above Durango will once again become a familiar sight. The Colorado Parks and Wildlife Commission on Tuesday unanimously approved a citizen petition asking for permission for paragliders to launch off the top of Smelter Mountain on the southern edge of Durango. Paragliders will be allowed to launch off Smelter Mountain starting Sept. 1. Since the 1980s, the top of Smelter Mountain has been a popular launching site for paragliders because the topography allows favorable winds and picturesque views of the city of Durango and surrounding mountains. But in 2010, the Durango Police Department asked CPW to prohibit paragliders from launching there, citing concerns that drivers along the busy U.S. Highway 550/160 corridor could become distracted and increase the chances for crashes. Local law enforcement agencies also pointed out that the launch site is adjacent to the region’s public safety communication towers, as well as towers for radio and broadcasting. CPW approved the request to ban paragliding on Smelter Mountain, and in doing so, it decided to enact a statewide ban on all aircraft taking off from any state wildlife area. This January, however, Durango resident and licensed paragliding pilot Randy Hughes petitioned CPW to reconsider the ban at Smelter Mountain, arguing that paragliders had used the area for decades with little to no conflicts. Attempts to reach Hughes for comment Tuesday morning were unsuccessful. 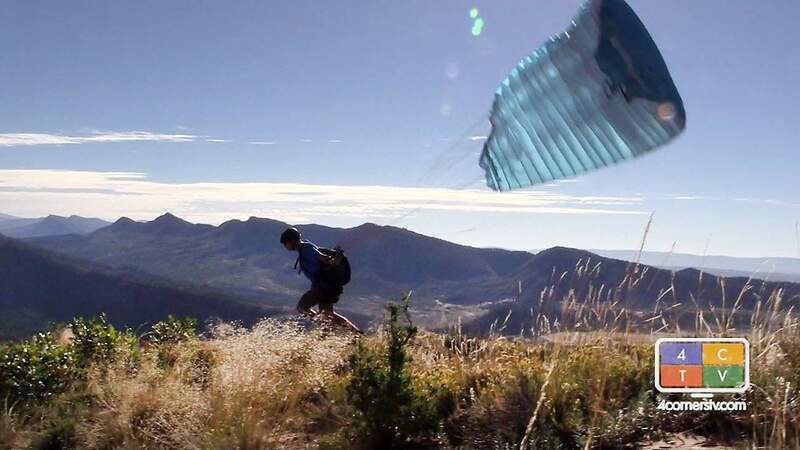 Initially, local authorities sent a letter in opposition to allowing paragliders at Smelter Mountain. But over the last six months, CPW officials said all lingering concerns were worked out. The city of Durango and the Durango Police Department did not immediately respond to requests for comment. The landing site for paragliders is located on city property at the 79-acre off-leash dog park. CPW’s decision Tuesday did not reverse the ban of launching aircraft at all state wildlife areas across Colorado. Instead, it makes an exemption for the sport at Smelter Mountain. As part of the approval, paragliders must respect all the regulations of Bodo State Wildlife Area that the general public is subject to; namely, the Smelter Mountain Trail is open from 10 a.m. to 2 p.m. from Dec. 1 to April 15. Also, paragliders must use the existing trail that follows the eastern edge of the wildlife area. “After addressing safety concerns from local law enforcement and gaining permission to land on city of Durango property, CPW staff are satisfied that an exemption to the launching-of-aircraft provision can be provided for paragliders on the Bodo SWA (State Wildlife Area),” CPW wrote in its report.